It's that time of the year again! With only a month left of Regional Voices (on until June 27), planning is underway for our next exhibition, Creative Connections. This exhibition will feature insightful work from some of BC’s youngest artists as they reveal their world through art. 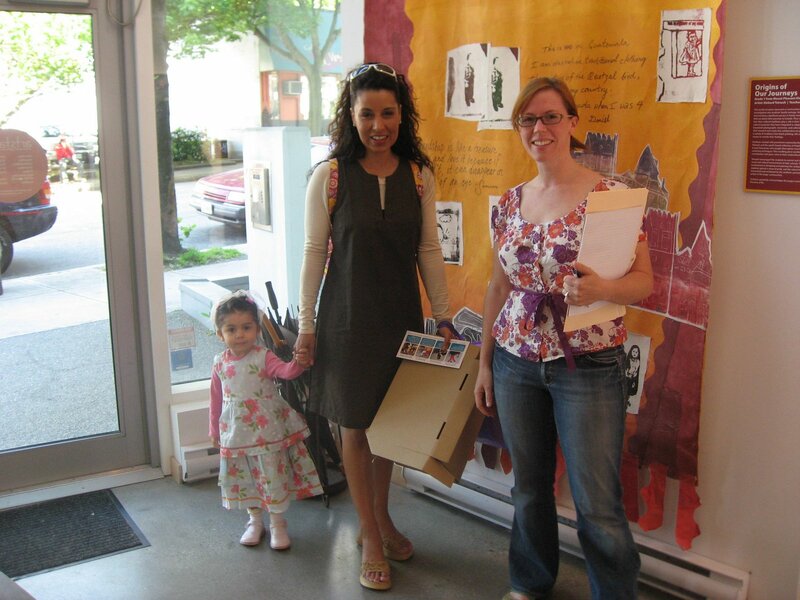 Here we have Angelique Rasmussen, a learning assistant/resource teacher, and her delightful daughter dropping off Haida-inspired felt and leather crests made by students at St. Patrick's school in Maple Ridge.